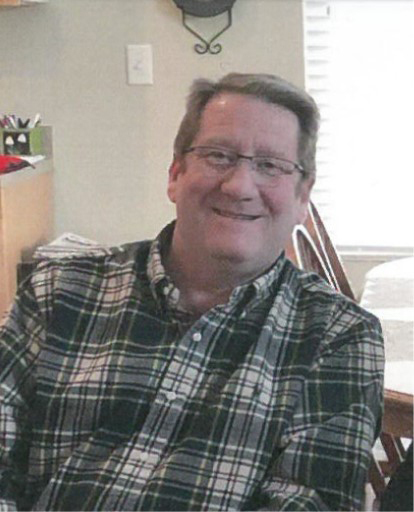 Scott Andrews, 53, passed away at Mercy Medical Center on April 9, 2019. Visitation will be from 2:00-4:00 p.m., Sunday, April 14, 2019, at Lutheran Church of Hope (520 NW 36th St. Ankeny, IA 50023). Funeral services will follow at 4:00 p.m., at the church. In lieu of flowers, memorials may be directed to the family for a future building fund at Lutheran Church of Hope. Scott Carroll Andrews was born April 30, 1965, in Marshalltown, IA to Clarence “Andy” and Margaret (Ralf) Andrews. He graduated from Marshalltown High School in 1983 and following school entered into the United States Air Force. He was honorably discharged from the Air Force on March 22, 1989. Scott was united in marriage to Maria Stief on September 28, 1991, in Marshalltown. They welcomed two children: Mallory, 22 and a senior at the University of Northern Iowa and Sam, 14 and in 9th grade at Southview Middle School in Ankeny. Scott worked for 17 years at Maytag and the last 9 years at B & G Foods (Tones) in Ankeny. Those who knew Scott will remember him as a quiet man with a heart of gold. He was proud of his family and loved them more than anything. Scott was a humble man, but always had to brag about his children’s accomplishments. He was a hard worker, the handyman of the family; able to fix anything and help anyone in need. Scott was a Nascar fan, especially of Dale Earnhardt; the Iowa Hawkeyes, Chicago Cubs and UNI Panthers. His work and family were his passions in life, baseball season was just starting and he loved watching Sam play. Scott was also looking forward to Mallory’s college graduation and his niece’s wedding in the next few months. Most recently, Scott and his family traveled to Phoenix, AZ where they visited Luke Air Force Base, attending the Chicago Cubs spring training and reconnected with Scott’s Air Force roommate after 30 years. Scott is survived by his wife, Maria, of Ankeny; children: Mallory and Sam Andrews; mother, Margaret Andrews, of Marshalltown; siblings: Sue (Paul) Lillibridge, of Belton, TX, Sally (John) Jenkins, of Peru, IL and Sara (Ken) Edel, of Charlotte, NC; mother and father-in-law, Chuck and Verda Stief, of Ankeny, sister-in-law Heidi (Ron) Grell, of Maple Grove, MN and brother-in-law, Phil Stief, of Ankeny; 4 nieces, 5 nephews and 1 great-nephew. He was preceded in death by his father, Clarence “Andy” Andrews and a sister at birth.